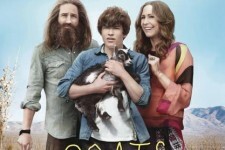 In "Goats," Ellis (Graham Phillips) is the most adult member of his eccentric family at 15 years old. His mom (Vera Farmiga) is a New Age hippie that spends all of her time working on self-help rituals with her hustler boyfriend (Justin Kirk). His dad (Ty Burrell) left home years ago and is more focused on his new wife (Keri Russell) and family. 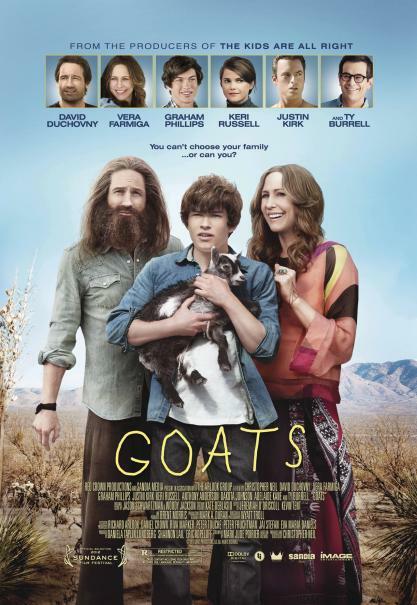 And then there's Goat Man (David Duchovny), the goat-herding sage who has lived in their pool house since Ellis was a child, teaching him the meaning of stability, commitment, and expanding one's mind. When Ellis decides to leave Tucson to go to the same East Coast prep school that his father went to, he easily assimilates to his new environment - even gaining the attention of a local girl (Dakota Johnson). But as he re‐connects with his estranged father, he finds Goat Man’s influence and his life out West thrown into stark contrast. Based on Mark Jude Poirier’s best-selling novel, director Christopher Neil's hilarious and poignant film is a witty reversal of the coming of age formula, a beautifully honest portrayal of life with its rough edges, awkward moments, and non-endings. The Surrogate, The Words, Save the Date, V/H/S and more!